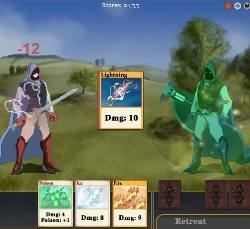 A turn based tactical card game. 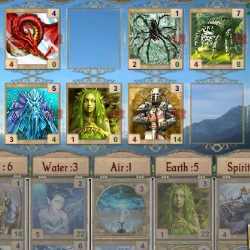 Master the magic of the cards and attack the enemy wizards. Winning a battle either unlocks a new card or gives a bonus to your health score. There are 20 battles to fight, 42 magic cards to unlock, and 3 different hero classes to play. 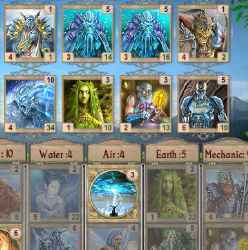 Use the MOUSE and LEFT MOUSE BUTTON to choose what cards to play. LEFT CLICK on spell to cast the spell or burn to dispose of a card and add five points to your energy. Click here to send Ether of Magic Cards to your friends using your default email program.